These 10 versatile ingredients will effortlessly bring the feel of Japan’s hearty autumn to your table. 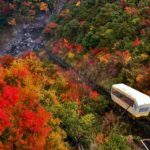 Contrary to popular belief, autumn is not unique to Japan, nor is most of the produce available at this time of year. However, these hearty transition-season staples are rich in flavor and can be prepared in a number of ways. And, a lot of them are even featured in seasonal festivals for people less inclined to cooking. Either way, after trying the 10 ingredients on this list, you are sure to fall in love with Japanese food. Kabocha (Japanese pumpkins) don’t look anything like pumpkins — they are small, green and certainly not big enough for carving a Jack O’ Lantern. (Though someone has probably tried it.) Hokkaido is the No. 1 producer of this hearty fall staple, which can be found in ¼ and ⅛ cuts or whole for about ¥300-¥400, depending on the size. Satsumaimo (Japanese sweet potatoes) meanwhile, grow best in southern climates like Kagoshima Prefecture. They hold a special place in the heart of many Japanese as imo hori, or digging for potatoes, is a common fall activity for kindergarten and elementary school students. 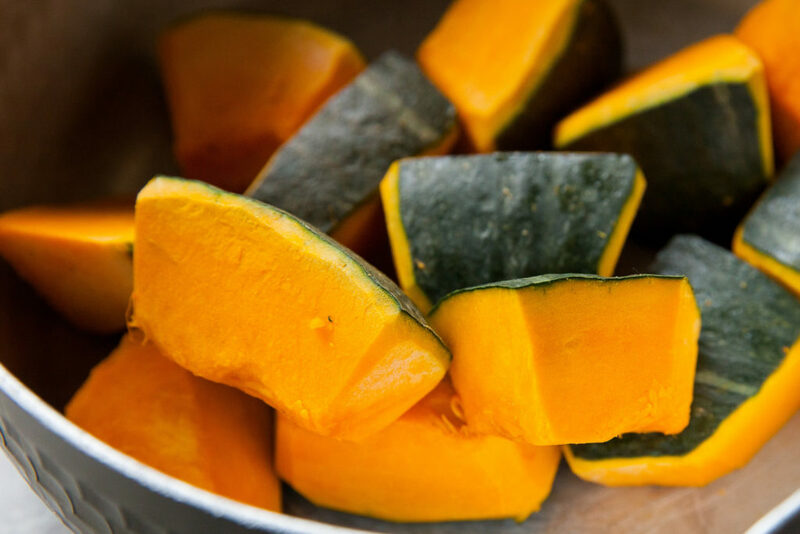 How to eat: Japanese pumpkin and Japanese sweet potatoes are incredibly versatile ingredients that pack loads of taste and nutrients. They work well fried in deep batter as tempura or in the stuffing for croquettes. To warm up, try stewed kabocha or yaki imo, roasted sweet potatoes. 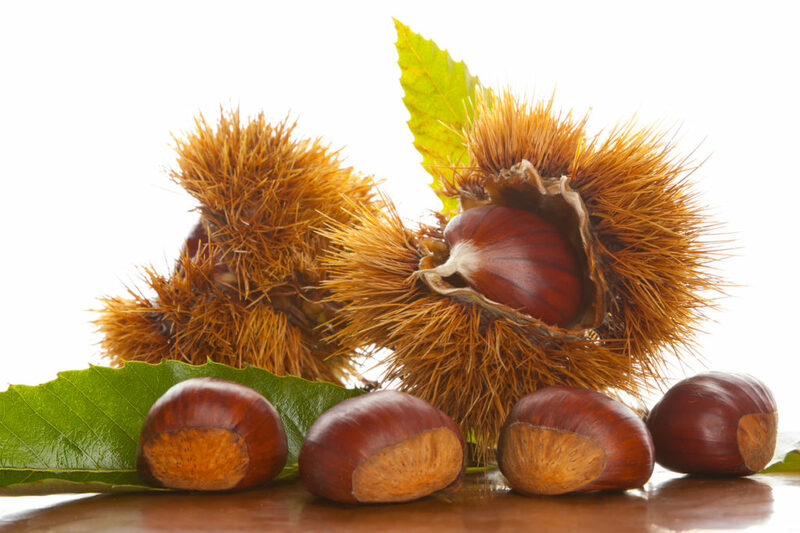 Closely associated with roasting on an open fire and Christmas in western countries, kuri (chestnuts) are a classic fall delicacy. Ibaraki is the center of chestnut production in Japan, and the Kasama Shin-Kuri Festival of late September or early October celebrates the yearly harvest. Ginnan (gingko nuts) are not as popular as chestnuts but have a place in Japanese cuisine as a garnish or snack. If you’re unfamiliar with gingko nuts, you’ll probably recognize its smell as you walk through a thick carpet of bright, yellow leaves on a fall day. How to eat: Preparing chestnuts and gingko nuts can be extremely time consuming. Thankfully, you can find shelled and boiled chestnuts for around ¥160 at the supermarket. Pick up a few gingko nuts on the way home, but bring a pair of disposable gloves: the outer fleshy coating can cause skin blisters when handled. The nuts are also poisonous when consumed raw. Talk about a forbidden fruit! To prepare, place gingko nuts in water until the exterior flesh is soft enough to remove. Once dry, heat nuts in a frying pan until the shell splits. Crack open when cooled and sprinkle with salt. Along with grapes, kaki (persimmons) and nashi (pear) take over supermarket shelves as summer ends. 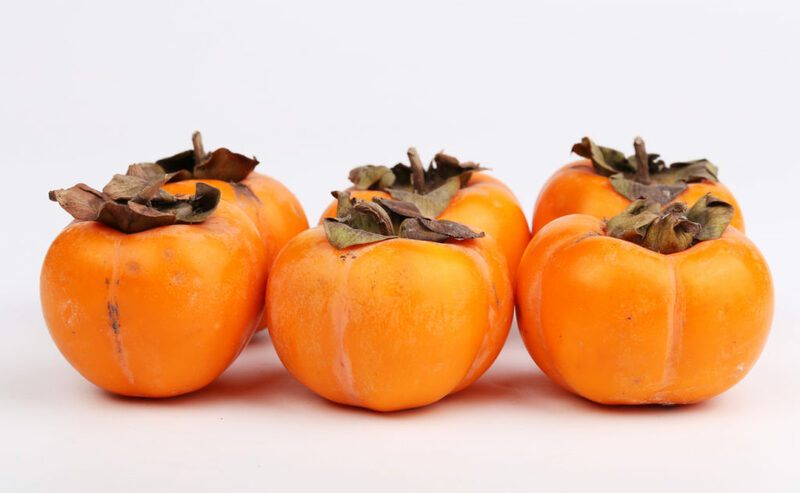 Whether persimmons are best squishy or firm can cause major debate, but you can pick them up at your supermarket for about ¥120 each and see which texture works for you. Wakayama Prefecture produces nearly a quarter of all Japanese permissions. The town of Kudoyama even has an annual persimmon harvest festival held on the second weekend in November. Nashi refers to round Japanese pears that look like tan apples. Pears are typically around ¥160 each. Chiba Prefecture, home of the bizarre talking pear Funassyi, produces nearly 15 percent of Japanese pears. There is one last thing to add to this list: the mysterious bright purple fruit called akebi (also known as chocolate vine). 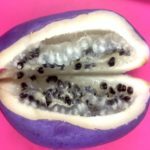 While not exactly well-known among the foreign population in Japan, you probably saw this fruit at some point at the grocery store and thought, “What is that?” This ingredient can be quite bitter if you don’t first soak it in water and then cook it down. However, it’s even been featured on TV in Japanese cooking shows. How to eat: A common and delicious way to prepare akebi is to cut it in half, scrape out the inside, stuff it with meat (kind of like a stuffed pepper) blended with spices, and then pan fry. 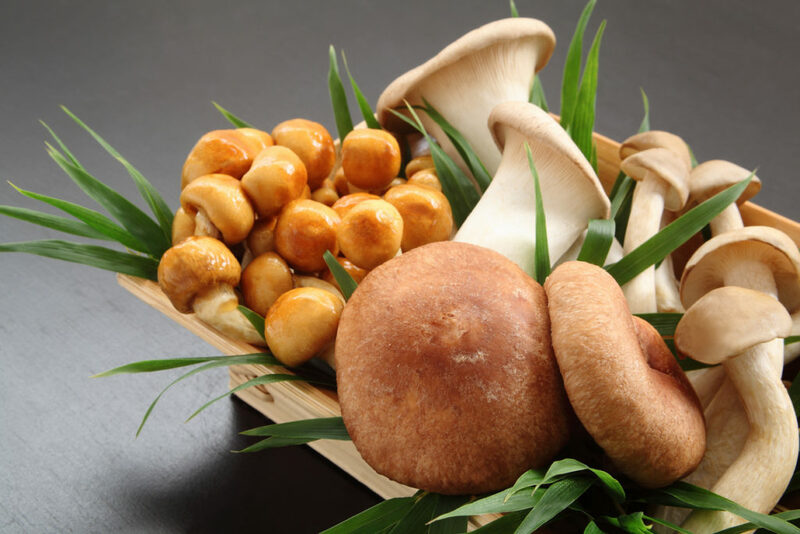 Various kinds of Japanese mushrooms. Kinoko (Mushrooms) are a signature fall food in Japan. Out of the 4,000, to 5,000 species of mushrooms in Japan alone, only a few hundred are edible. Foraging for mushrooms remains a pastime for many. Evening news reports are peppered with tales of people who went out for a hike, only to come back with an intense case of food poisoning- or worse. If you’re not adventurous enough to go pick your own mushrooms, your supermarket is bound to have a section dedicated to mushroom varieties like for eringi, nameko, hiratake, shiitake, maitake, and matsutake, to name just a few. They are sold in 100 gram packages for less than ¥100 a pack. If there’s one advantage to living on an island, it’s no doubt the abundance of fresh fish and seafood. And when it comes to fish, sanma (pacific saury) is king. A single saury can cost anywhere from ¥90 to ¥210, making it an attractive option for dinner. 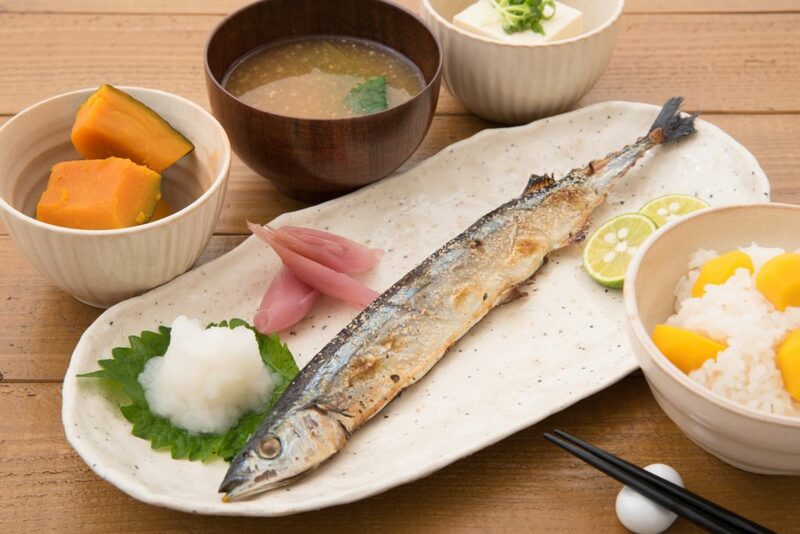 The Meguro Sanma Festival held every September, celebrates saury by serving 7,000 of the grilled fish for free. Kaki (Oysters), meanwhile, are a versatile shellfish that work well with Japanese cuisine. (And, yes, it is the same Japanese spelling as the above persimmon!) Hiroshima Prefecture‘s Seto Inland Sea is where 60 percent of Japan’s oysters are harvested. Naturally, Hiroshima takes pride in its local delight — oyster festivals are held all over the prefecture between January and February. How to eat: It can be difficult to find fresh oysters based on your location. The frozen food section may have packages of oysters for around ¥400. Try a miso based oyster nabe, or hot pot, on a chilly night. 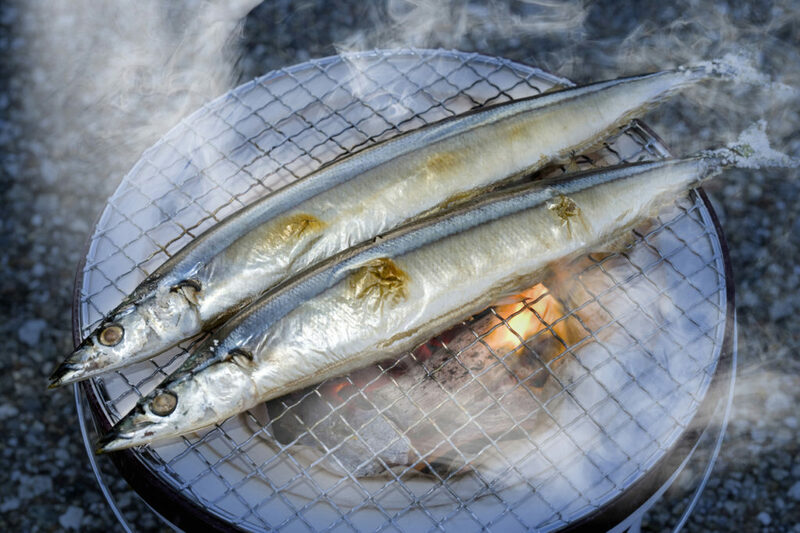 Grilled saury (shio yaki), is another option: Simply rub the body in salt and grill for 5-7 minutes on each side. There’s something about fall that makes it the perfect companion to comfort foods and warm drinks. Next time you’re in the supermarket pondering what’s for dinner, use this list for inspiration. These fall ingredients are sure to expand your cooking repertoire and love for Japanese food! Japanese traditional dish gomoku gohan. 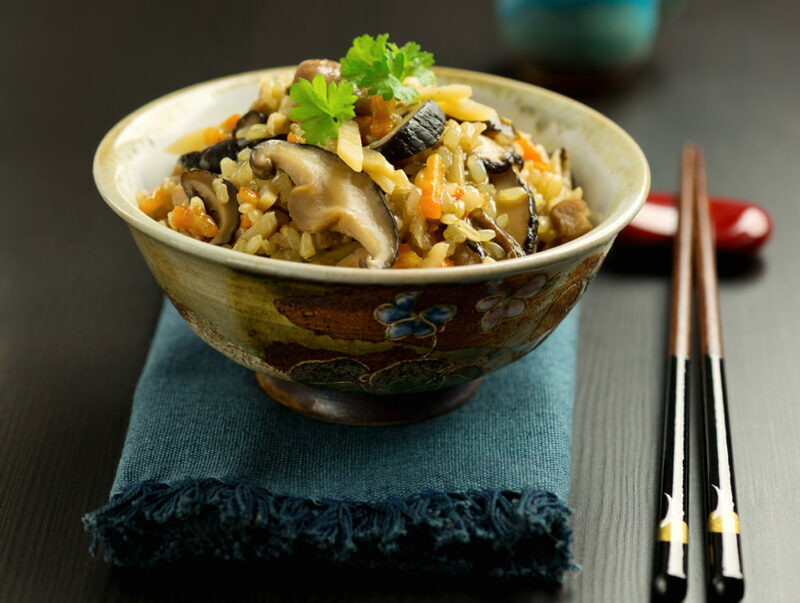 A fail-safe recipe that is a fall staple is takikomi gohan, or rice prepared in a rice cooker with other ingredients like chestnuts, Japanese pumpkins, sweet potatoes and mushrooms. Sprinkle black sesame seeds on freshly made rice and serve with a side of grilled sanma for a traditional meal worth posting on social media. Some of the best parts about this dish are that it’s super easy to make and is a hearty meal with ingredients easily bought at any local super market. Hope that helps put dinner on the table, but if you’re interested in something sweet, try out our list of mouth-watering fall desserts in Japan like kabocha pudding and more. Know of the perfect fall food you didn’t find on this list?  Let us know about it in the comments below! When it comes to unsettling, chilling and often gruesome films, nothing quite matches the visceral nature of Japanese horror. Somewhere in northern Japan, someone is cooking this fruit and making it taste fantastic. That person, though, is not me.